Lot backs to the east wall along Cotton Lane providing additional privacy. there is a finished double door storage shed with full sized washer and dryer and sink. A new hot water tank was installed in 2013. There is a work bench and cabinets for storage. The patio area is covered with plenty of space for entertaining. 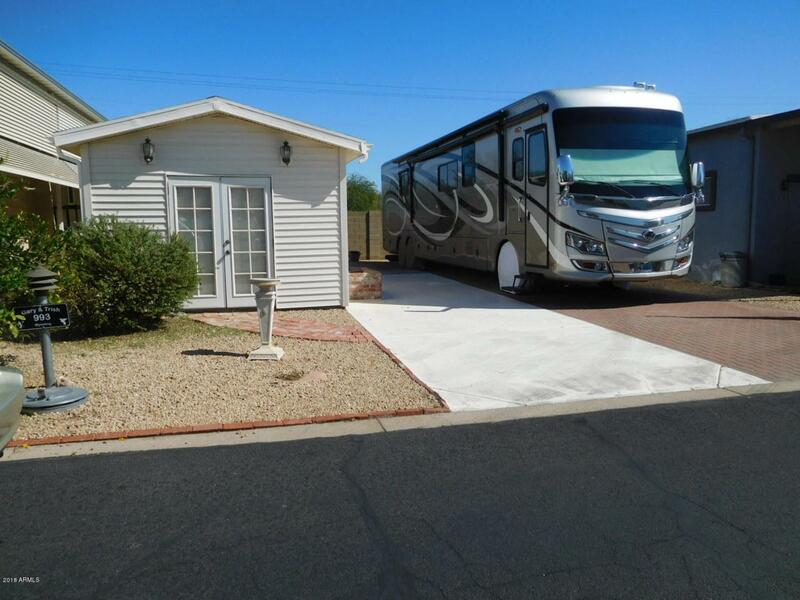 Water, sewer, and power for the RV is located on the lot and pedestal has 30/50 amp service for the RV. Happy Trails boasts 4 pools, 7 spas, pickleball courts, and activities galore! Ready for the 2018/2019 season.